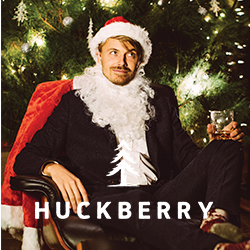 December 26, 2017 December 26, 2017 by Beau H.
Revisiting a Christmas classic & dressed in casual gear from Mack Weldon, Banana Republic & SeaVees. There’s a certain stretch of year that’s probably my favorite, and no …. it’s not the Governors Ball music festival here in NYC. That favorite time of year would happen to be the holiday season, especially now that I’m further away from my family. 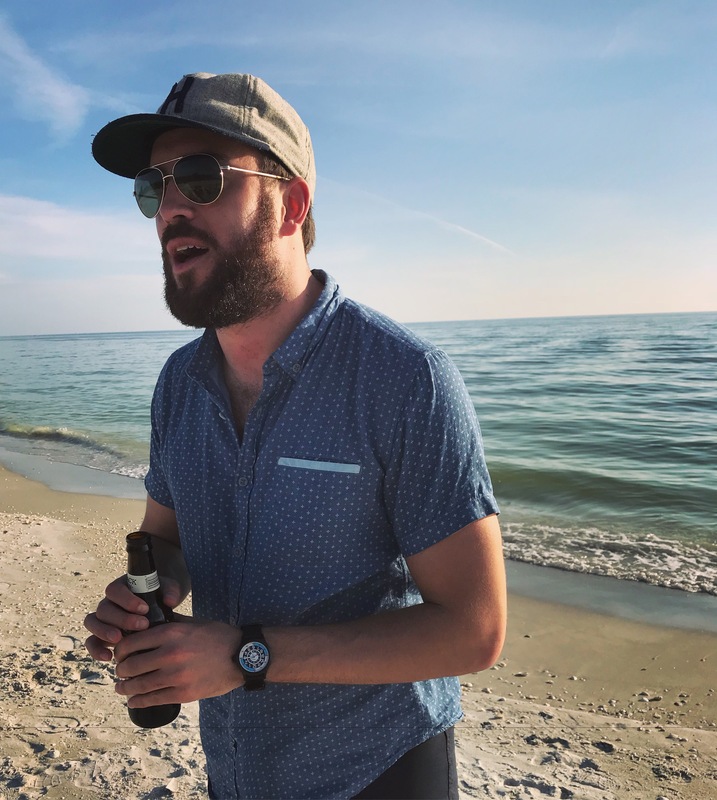 I recently traveled to Fort Myers for Thanksgiving, and this past weekend brought me back to down South for a Florida Christmas–that’s on top of a recent early December weekend trip to Orlando and Tampa for the 97X Next Big Thing music festival! Yes indeed, I’ve spent plenty of time down south these last few weeks. In between my recent Florida trips, I went the complete opposite direction, traveling north to Toronto. Rest assured, the Florida sun is certainly much more welcoming. And from trip to trip, I’ve tried my best to bring along my favorite #menswear. 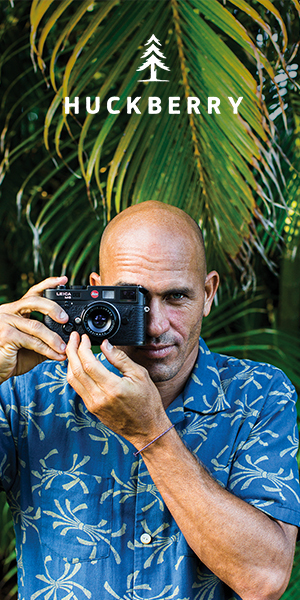 Did you dress in holiday travel style this year? As always, I’d love to hear about your own travels over on Twitter. But for now, let’s soak up the sun and head south! Enjoying fun in the Florida sun with my Timex x Todd Snyder Mod Watch & aviators from James Dean Eyewear! Unlike past trips to Florida, where I’ve had to head right from the office to the plane, this trip gave me the luxury of heading from my apartment onto the plane. So, I packed up my Voyager Waxed Weekender from Boarding Pass NYC (formerly Owen & Fred), and I hit the road! 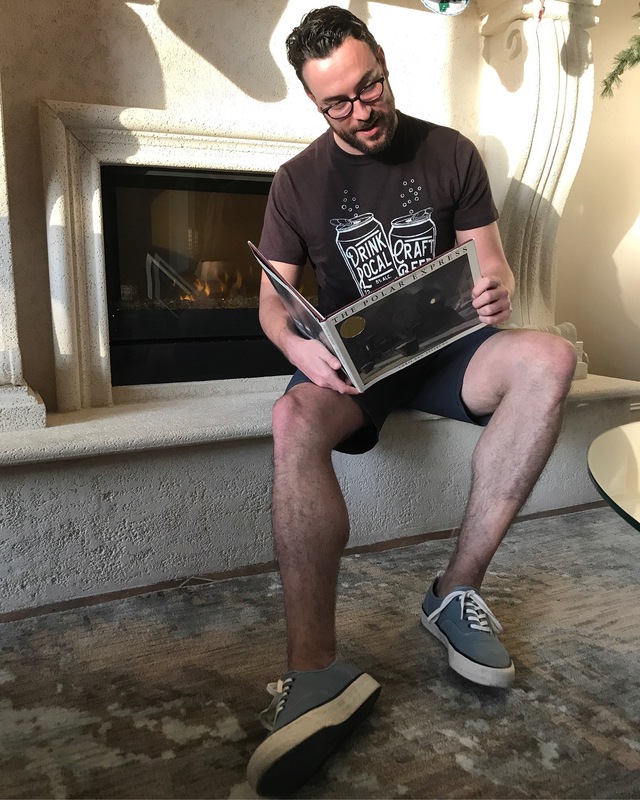 I dressed for comfort and style, throwing on an all-new, super-comfortable Mott and Bow T-shirt, topped off with an easy-to-layer Mott and Bow denim shirt, two stylish pieces that provided comfort and just a bit of casual polish. For even more laidback comfort and mobility, my Proof Nomad Pants, with the construction of a chino and the mobility of a pair of sporty sweatpants, were just the ticket. They teamed more than readily with a pair of classic chukka boots from Astorflex, as perfect a pair of travel footwear as it gets. And to add a bit of visual interest and sharp style, my Timex x Todd Snyder Mod Watch proved effective and reliable. The great part about layering a bit? When I got to Florida, I simply ditched my Mott and Bow denim shirt and wore my Mott and Bow tee! How about that? Point being: The next time you want to head from a chillier locale to a warm one, dress with casual, cool layers in mind — add some mobile chinos, classic chukka boots and a stylish, casual watch. Enjoying the day with my United By Blue Wenlock Chambray Short, Timex x Todd Snyder Blackjack Watch and my trusty Huckberry Explorer’s Cap … plus a great brew! It’s always nice to get home, get settled and enjoy the beautiful Florida weather — Friday had plenty of that, and it was the perfect segway into a long weekend that proved filled with holiday cheer and relaxation. On Saturday, that meant we enjoyed a relaxing Florida day and an afternoon beach trip, no early wake-up needed! 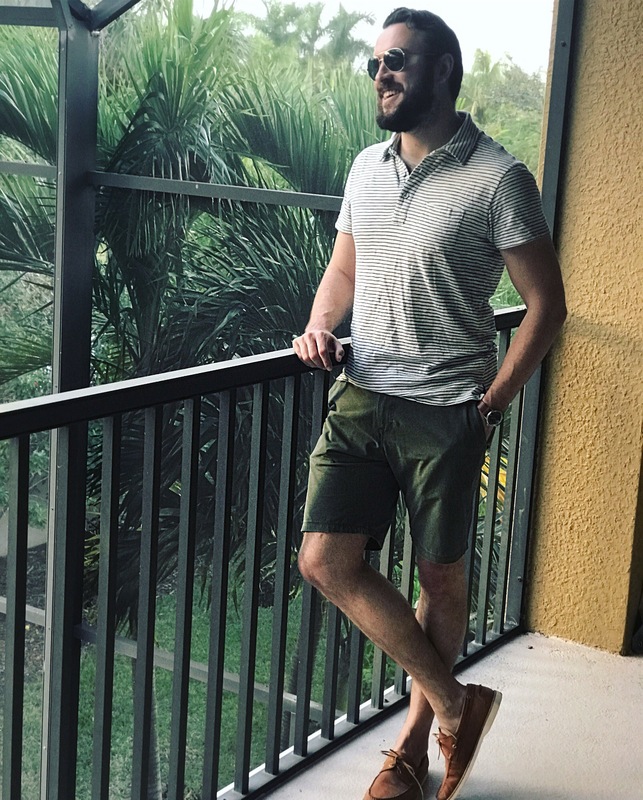 For venturing into Fort Myers, I stepped out in exploration-ready but casual style, starting with my United By Blue Wenlock Chambray Shirt and my Mack Weldon Board Shorts, essential for soaking up some Florida rays. A pair of Reef men’s sneakers proved durable and more than able to take me around town, while my sporty Timex x Todd Snyder Blackjack Watch felt speedy and retro. On the accessories front, keeping my eyes safe from the sun — but doing so in style — was top of mind. 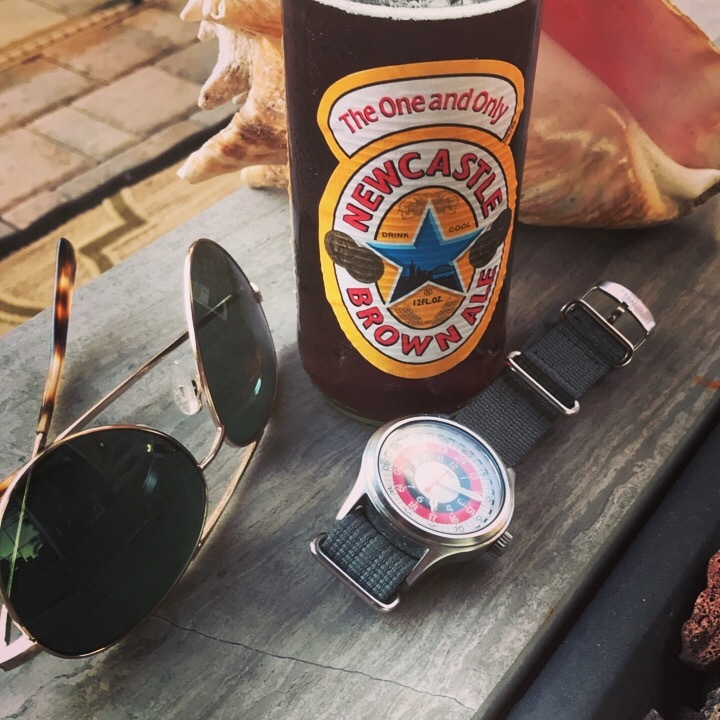 My James Dean Eyewear Aviators were my pick, equally classic and modern … plus, well-suited for grabbing a post-beach brew. Days on the water are hard to come by in NYC, as one might imagine, so I relished the chance to get some Florida sun. Sunday brought with it … well, Christmas Eve, for starters! It’s a Hayhoe family tradition to head to the movies as a family, and after a relaxing morning, that’s just what we did — “The Greatest Showman” was a fun, enjoyable ride . I don’t know if the excitement of Christmas with family will ever quite get old, so I appreciate the chance to keep old traditions going — and of course, I never pass up the chance to dress in style! As seen at the top of the page, I threw on a casual Banana Republic graphic tee (Cheers!) 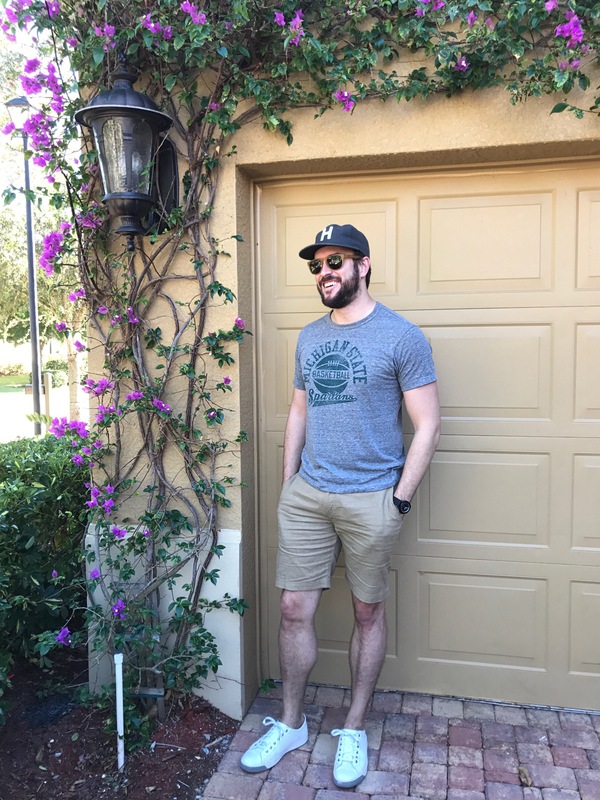 and paired it up with the Mack Weldon Active Shorts, a frequent favorite when I travel to Florida given the blend of comfort and stretch. A crisp, well-made Timex x Form-Function-Form watch helped me get around in style, featuring rugged good looks and easy wearability — seriously, Timex x Form-Function-Form watches are not to be missed. For striking style and protection from the sun, my James Dean JDS105 sunglasses were the way to go, and classic SeaVees sneakers (in this case, a bright blue take on the SeaVees Hermosa Regatta) proved effective and comfortable on the accessories front. Again, it never gets old when I get the chance to savor family traditions, and that goes for our post-Christmas Eve dinner of shrimp and salad, followed by Christmas Eve presents (pajamas for everyone!) and a traditional reading of “The Night Before Christmas.” After that, off to bed! 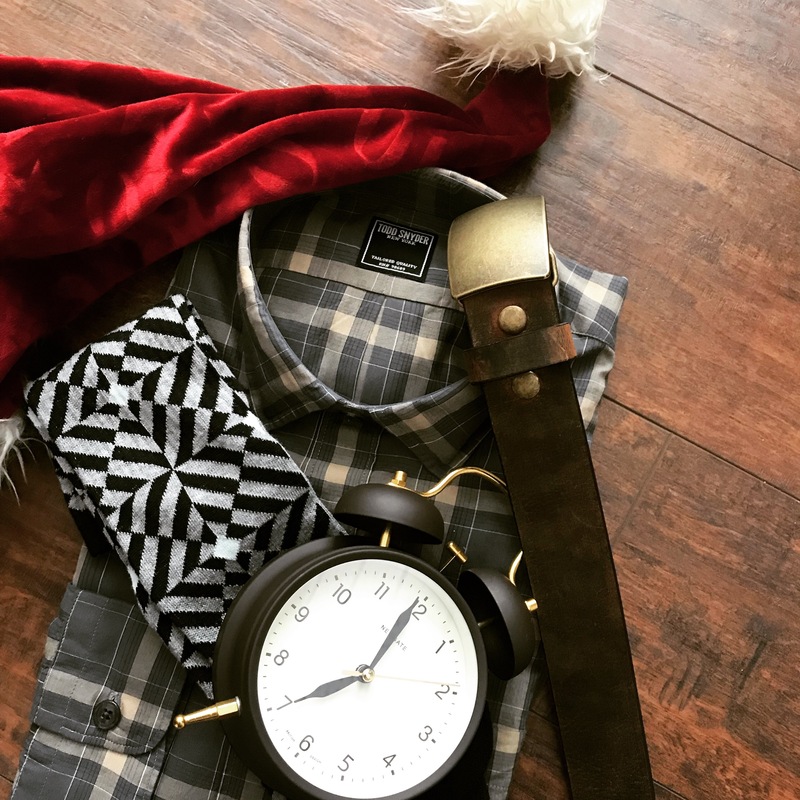 Unwrapping some incredible gifts, including a new Todd Snyder shirt, a classic Orvis leather belt and a Newgate clock (via Bespoke Post). Hope you enjoyed your day with loved ones in your life! Christmas in the Hayhoe household is another tradition I always enjoy — how can you not?? It’s very special to spend the day with family, curled up with great coffee and most likely, a choice Christmas read. We also always enjoy homemade cinnamon rolls and egg casserole. And it’s an important reminder to slow down and take it all in, especially as we close out a busy year. I was truly fortunate to receive some amazing gifts, from a Ticketmaster gift card (more live tunes!) to a lovely Todd Snyder dress shirt (seen above! ), the terrific book “Manhattan Beach” (by Jennifer Egan) and a classic Orvis belt from my grandparents. Those gifts will absolutely come in handy all year long, and I was so thankful to spend the day relaxing with family in the Florida sun! The trip wasn’t done yet, though. Luckily, I had a full day in Florida to take in a last few rays of sunshine in style. I dressed in easygoing, travel-ready gear for the occasion, from my Abercrombie & Fitch Langdon Denim to a Mott and Bow denim shirt. I also layered up for the flight home with a classic Bridge & Burn T-shirt — these new tees are soft, well-tailored and well-made. In short, you can wear these easygoing men’s T-shirts all day without worrying about whether they’ll stretch out. One place you do want a little stretch for both comfort and style? Your jeans. That’s why I reached for my Abercombie & Fitch denim. The A&F denim features a light weight, a pleasingly faded wash and a slim fit — ideal to pair with my classic suede chukka boots from Astorflex. I teamed the combination with my Timex Form-Function-Form Horween Leather Chronograph, a visually interesting watch with a rugged leather strap. I also threw on my reliable-as-ever Huckberry Explorer’s Cap, and finished the look off with stylish sunglasses from James Dean Eyewear. The next time you’ve got a few hours before your flight, be sure to wear casual style essentials — like a classic denim shirt and stylish suede chukkas that are ready for both travel and adventure in equal measure. As I always say, my trip came to an end much too soon — I always cherish being able to get away from NYC and enjoy time with family, especially during the holiday season. I feel recharged and energized to take on the rest of 2017 and the start of 2018, and I hope you do, too! More importantly, we’ll have plenty of style content coming at you to get you ready for New Year’s Eve, including a helpful #OOTD that covers, well … what to wear on New Year’s Eve! Look for it tomorrow. In the meantime, Merry (belated) Christmas and thanks for reading! December 18, 2017 December 17, 2017 by Beau H.
Dressed in rugged, adventure-ready style — featuring my Flint and Tinder Waxed Trucker Jacket, Taylor Stitch Chore Pants and a Taylor Stitch flannel shirt, plus my WP Standard Natural Leather Belt and my trusty Timex x Red Wing Waterbury Chrono. As I checked my calendar recently, I realized with a shock that, well, it was, well, nearly Christmas! Fall and winter have been flying by here in NYC, filled with #menswear and plenty of fun Style Guide content — and road trips galore! From a fall trip to Portland to a weekend in Nashville to a quick trip to Boston, I’ve been fortunate to be able to get out of town and hit the road. But there was one area I hadn’t yet been able to squeeze in a quick trip this season — upstate New York! I visited the lovely town of Hudson last November on a perfectly crisp fall weekend, and my travels also took me up to the quaint town of Beacon in February 2016 — but this past weekend was a great chance to once again break out my favorite style essentials and head to the famed Dia: Beacon art museum (among other pursuits). Come along for the ride with me! Oh, and if you follow me on Instagram and already caught details of this trip … stick around, won’t you? The winter fun began in earnest on Friday, with a #menswear ensemble made for essential, casual style for a day at the office. In this case, that meant throwing on a new Fruit of The Loom EverSoft Long-Sleeve Crew T-Shirt in a seasonally-friendly shade of red. It layered up nicely with an easygoing Original Penguin shawl collar cardigan for a bit of casual polish, while my Taylor Stitch Slim Chinos in British Khaki proved well-fitting and easygoing-yet-stylish. 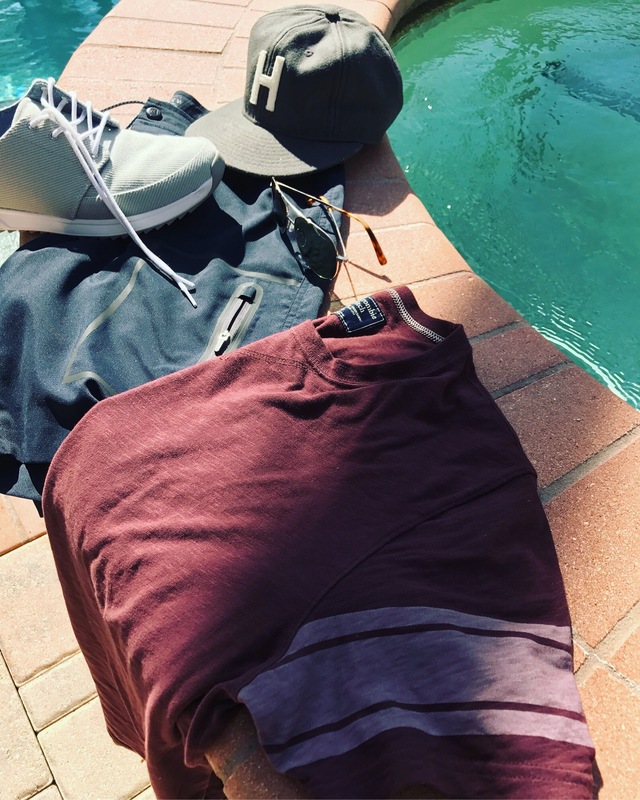 Again, Taylor Stitch is just a brand that checks plenty of boxes in terms of rugged, casual style — and it wouldn’t be the last time I brought out Taylor Stitch menswear this weekend, either. When matched up with stylish leather sneakers — the CLAE Bradley Mid, specifically — the combo proved comfortable for the office and suitable for grabbing a pint at Brooklyn’s Sycamore after work. I also threw on my reliable Huckberry Explorer’s Cap, and I reached for the V76 by Vaughn Daily Balance Facial Moisturizer to keep my skin in prime shape. Make no mistake, men’s grooming essentials are critical during the winter season, especially when dealing with breezy, chilly weather. Luckily, my daily grooming routine helped me finish the week strong — and with a nice day at work in the books, I was looking forward to the weekend ahead. Layered up to explore Beacon and kick back with a coffee at Bank Square Coffeehouse. My accessories included a Banana Republic plaid scarf and a Club Monaco knit cap, plus my trusty Timex x Red Wing Waterbury Chrono. My Hood Rubber Co. Wayland Boots were perfect for stomping through the snow, too! What did the weekend have in store? It kicked off nice and early Saturday morning with a few crucial cups of coffee, followed by a lovely train ride upstate to Beacon! As I said, I had visited the town on a February weekend last year, and came away with nothing but fond memories of the tranquil, enjoyable atmosphere and beautiful upstate views. Stop number one, of course, had to be a cup of coffee (well, the mocha latte) at the charming Bank Square Coffeehouse. That got me ready to explore Dia: Beacon, the world-class art museum featuring work from the likes of Dan Flavin, Donald Judd and plenty more. Based in a former Nabisco factory, this well-lit, beautifully designed museum is packed with large-scale activations, smaller exhibits and some seriously contemplative works of art. If ever you’re looking to get away from NYC — or perhaps add a day trip when you swing through the Big Apple — I can’t recommend this lovely museum enough. Of course, I knew I had to dress in rugged winter style essentials to navigate the town and the museum accordingly. I started things off the right way by reaching for the extremely well-made, durably crafted Flint and Tinder Flannel-Lined Waxed Trucker Jacket, a classic men’s trucker jacket made with great attention to detail and a tailored fit. For durable, effective style on my bottom half, I threw on a pair of Taylor Stitch Chore Pants, crafted from cotton canvas and featuring double-knee reinforced construction. They worked more than handsomely alongside my adventure-ready Wayland Boots from Hood Rubber Company. Featuring a handsome blend of rubberized and full-grain leather, the Wayland Boots provided a mix of casual and functional style, what with waxed cotton laces and a fit that echoes the look of your favorite chukka boots. A rugged Timex watch was my go-to casual watch pick for the day — I can’t emphasize enough how reliable the Timex x Red Wing Waterbury Chrono happens to be. Of course, stylish men’s socks from Anonymousism were also a reliable accessory. On the everyday carry front, my essentials were close at hand, thanks to the WP Standard Large Messenger Bag. I’m telling you, that bag about as good as it gets when it comes to an everyday bag. And my LSTN Sound Co. Headphones from the Bespoke Post Vibes Box also came along on this quick trip, allowing me to plug into my favorite tunes. And the even better news? Beacon really did prove a fun, lovely town for a quick visit. I made time to grab some excellent pints at the renowned Draught Industries, a rustic, rugged gastropub with a killer craft beer selection, including picks from Hill Farmstead and Midwest favorite Founders Brewing. The great thing about Beacon is its quaint, quiet atmosphere — more than agreeable for enjoying the day and strolling around town. My quick trip to Beacon gave me just enough opportunity to get out of the city, clear my head and enjoy the fresh air with my favorite winter style essentials in tow. I even made some time to take in a few more of the sights and sounds of this lovely town with an overnight AirBNB stay. My centrally located apartment near Main Street was the perfect base to explore. The stops? The Vault was a must-visit for an excellent burger and delicious corn-and-parmesan fritters. I also enjoyed a nightcap at The Roundhouse, a beautiful, rustic-yet-modern hotel and restaurant that’s drawn acclaim around Beacon and beyond. Perfect for an Old-Fashioned, right? A classically rugged, warm winter get-up, perfect for exploring Beacon in style. My Flint and Tinder Moleskin Shirt Jacket proved essential and quite warm! To close out the weekend, Sunday called for even more Beacon exploration, starting with a pair of amazing donuts at Glazed Over, topped with chocolate chips, caramel glaze and vanilla drizzle — yes, please! I explore more on foot checking out the restored Roundhouse Hotel — it was even prettier in the day than at night. The afternoon took me down to the Towne Crier Cafe, a renowned regional hangout featuring live music and a mix of American and Middle Eastern staples — it was a cozy spot for a pleasant afternoon. I packed up my Saddleback Leather Rounded Leather Duffel, and I layered up with the well-made Flint and Tinder Moleskin Shirt Jacket in a pleasing shade of green. 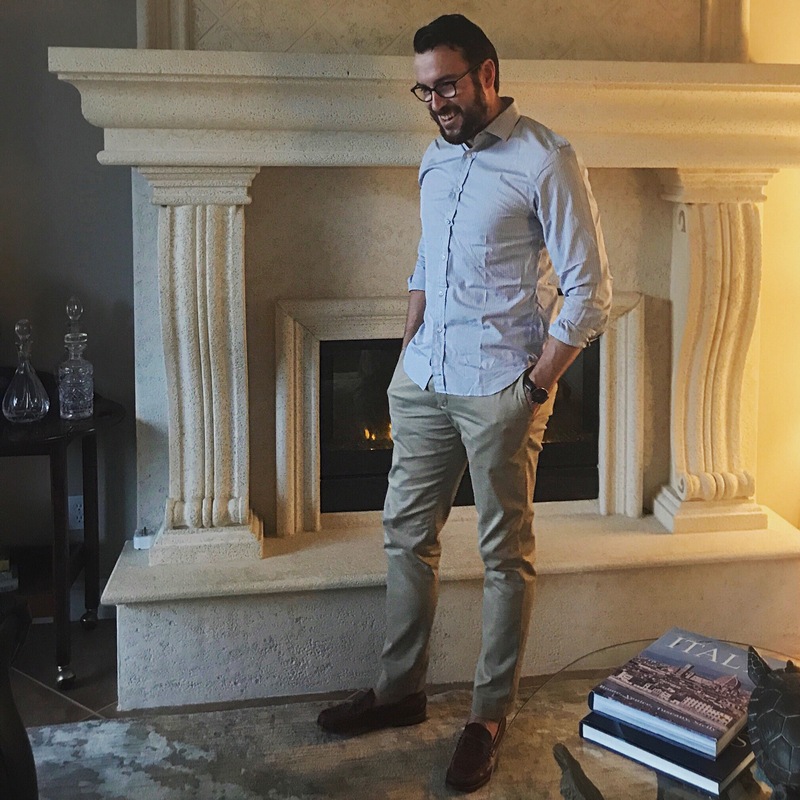 It proved perfect for throwing on over my Abercrombie and Fitch Cotton Herringbone Shirt, a nicely textured shirt with plenty of classic styling potential. And for venturing around Beacon and stopping at Bank Square Coffeehouse again, another Flint and Tinder essential served me well. Yes indeed, the Flint and Tinder All-American Jeans, made with stretch selvage and an inky blue indigo finish, were comfortable for travel and exploration. To get around with durability and rugged style in mind, my CAT Footwear Chronicle Boots had me well-equipped for the occasion, too. And my classic-as-always Timex x Red Wing Waterbury Watch kept me on time and in style. It was a pleasure to be able to get out of the city, especially around the holiday season. It’s worth remembering that getting out and exploring is as easy as picking a place and picking a date, then going after it. I’m going to do my to keep that in mind for me amidst the hustle and bustle of NYC, and if the urge should strike you to travel upstate, I can’t recommend Beacon enough! I’m also glad I was able to take on the weekend with my favorite winter menswear along for the ride. Oh, and if ever you find yourself in Brooklyn or in Beacon and want tips on what to do, give me a shout! December 11, 2017 December 11, 2017 by Beau H.
Layered up with my Grayers Edgevale Moto Jacket & Taylor Stitch Yosemite Shirt to fight the Toronto chill. If you read The Style Guide with any regularity, you’re perhaps familiar with my love of live music, here in New York City and elsewhere. Even in these past few months, I’ve had the chance to pack up my favorite #menswear and hit the road to Portland (to see synth-pop rockers Future Islands) and Nashville (to rock out with Cold War Kids and Young the Giant). One of my latest Style Guide road trips also took me north to Boston, then back down to NYC, to see my favorite band, indie rock heroes The National. So, what did this past weekend bring? Why, a trip north of the border to see none other than The National, of course! They’ve been putting together a masterful tour packed with new jams, cool covers and old favorites as part of the September release of “Sleep Well Beast,” one of the year’s best albums. All told, the time was quite ripe for me to head to a brand-new city for an excellent weekend filled with delicious food, great coffee, stellar music and … my favorite #menswear! Join me for the ride (if you haven’t caught news of the trip on my Instagram, that is). Let’s rock! A trusty Grayers moto jacket and thermal shirt helped me hop north of the border for a great weekend of live music and exploration. My early flight into Toronto absolutely necessitated a crucial stop for refreshments at Rooster Coffee House, a unique blend of the rustic and modern complete with reclaimed wood furnishings and eclectic lighting. To navigate through the airport, across the border and right into a busy day of exploration, I dressed accordingly in some of the best men’s gear I could pack (and wear). That meant throwing on a versatile, travel-friendly men’s jacket — the edgy, cool Grayers Edgeware Coated Corton Moto Jacket, complete with plenty of room for everyday carry essentials. I layered it over the Grayers Arrowcrest Thermal Stitch Crew, a cozy, comfortable piece that nicely accented my Flint and Tinder All-American Jeans (made from stretch selvage) and a pair of classic suede chukka boots from Astorflex. The combo was simply perfect for travel-ready style. 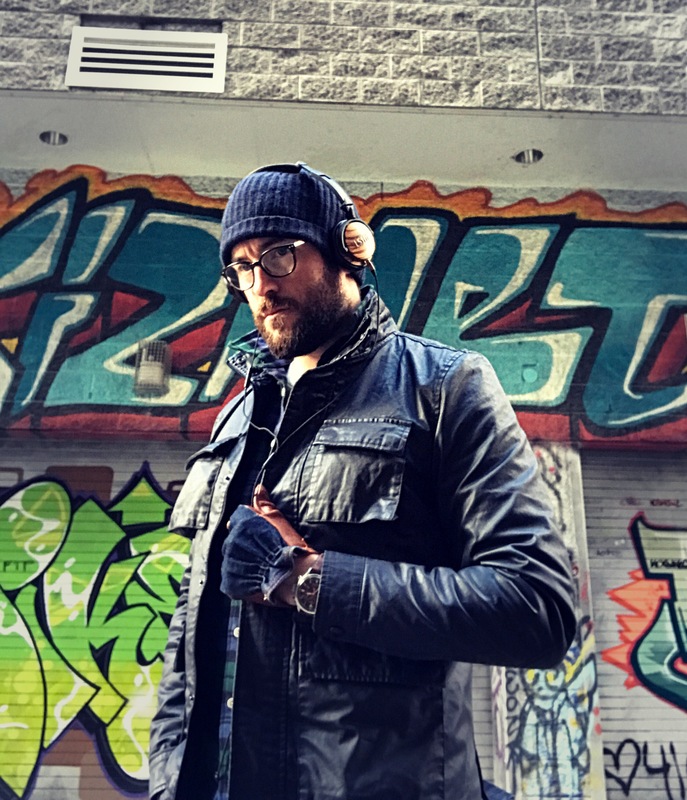 To get from Rooster Coffee House across Toronto to the seriously cool Graffiti Alley – a renowned “living canvas” alley protected by the city government — I wore a stylish Timex watch (in this case, a durable Timex x Red Wing Waterbury Chronograph). The next time you need to navigate a new city and an international flight, I’d urge you to reach for a durable watch, a slick, travel-ready jacket and versatile denim. My day in Toronto wasn’t finished yet, though — not even close. I eventually made my way over to the renowned Kensington Market, a jam-packed 10-block neighborhood packed with market stalls and tasty food aplenty (enough to wow even the most discerning traveler). It was a busy, bustling area filled with diversity and the sort of authenticity it can be tough to find in bigger cities — with all that walking, I was glad my Astorflex chukka boots proved comfortable and stylish. I also managed to pop in the positively massive, music-filled Sonic Boom Records — it helped set the tone for a weekend packed with hit songs by my favorite band. As the day turned to night, I made my way to Union, renowned cocktail bar & eatery with a quaint-yet-rugged, comfortable vibe — perfect for happy hour in Toronto. That wasn’t my only stop of the evening. Being the massive Harry Potter fan that I am, it was practically a Toronto requirement that I visit The Lockhart, a Harry Potter-themed bar that’s nothing short of delightful. It features stylish, cool decor and plenty of touches that nod to the books, the perfect place to spend some time with a tasty, tequila-and-cinnamon “betterbeer” and the aptly named Shacklebolt, a tasty concoction made with rum and ginger beer. From the subtle, detailed decor to the themed bathrooms, it’s a must-visit for HP fans. It was high time to keep things rolling with dinner at Otto’s Bierhalle, a German-style beer hall that certainly caught my eye for its approach to delicious brews and entrees like the rich beef tenderloin. The next time you’re in Toronto, I’d suggest you hit up Otto’s, without a doubt. It was quite the long day, but I was glad I dressed in versatile style. In fact, several of my new favorite men’s style essentials came in handy, including my tough Grayers jacket and classic chukka boots. My trusty Viberg boots have carried me through at least a few amazing shows by The National this year — other style essentials helped with my trip, too! After quite the busy Friday getting around Toronto, starting Saturday off with a jolt of much-needed caffeine at Rooster Coffee House was once again critical — as was layering up with with a Kenneth Cole topcoat, a sleek piece of warm outerwear that more than stood up to the challenge of a crisp Toronto day. Oh, and as it was the day of another great concert by The National, my LSTN Sound Co. headphones from Bespoke Post were a crucial companion. I paired up the jacket with the Taylor Stitch Indio Star Jack Shirt, a longtime favorite that provides reliable style and go-anywhere looks — you can wear the Indigo Star Jack Shirt tucked in or layered up on your next trip, too. 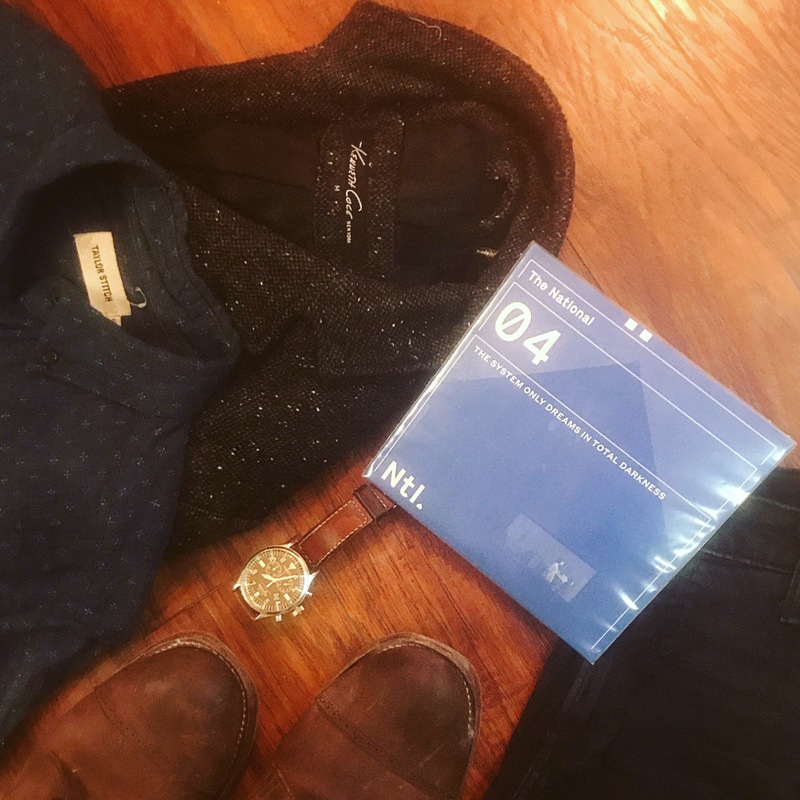 I accented the combo with handy everyday carry essentials — including a handsome plaid Banana Republic scarf — and my Abercrombie & Fitch Langdon Slim Jeans, featuring a tailored-yet-mobile fit. That combo proved durable and versatile for more on-foot exploration, this time through Toronto’s ultra-cool Distillery District. For lunch and a tasty brew, Mill Street Brewery was among my stops during the day, featuring deliciously rich food like the Smoked Meat Poutine and brews like the 100th Meridian, an organic amber lager. It was tough to keep moving after all that great food, but I managed … somehow. The day still held plenty of promise before an amazing show by The National — I had to squeeze in some menswear shopping undoubtedly! That meant making my way to the seriously cool Lost & Found, a clothing store-coffee shop hybrid that stocks Style Guide favorites like The Hill-side alongside excellent coffee and a cool vibe. With my fill of menswear for the day, I set out for one last pit stop at Amsterdam BrewHouse (I recommend the BoneShaker IPA or the 3-Speed Lager). Filled with great vibes, delicious craft beer and the promise of an extraordinary show by my favorite band on the horizon, the beautiful Sony Centre for the Performing Arts was my next stop. Once again, The National absolutely did not disappoint. I’ve been fortunate enough to see several shows by The National recently, from two intimate performances at Basilica Hudson (an old glue factory in upstate New York) to the historic Forest Hills Stadium in NYC — the Sony Centre held a different type of modern splendor, making for a very special evening. A timely seat upgrade put me just five rows from the stage, and I wouldn’t have it any other way. The National powered through a slew of hits and fan favorites, including gems like “Slow Show,” “Graceless,” “Conversation 16” and “Bloodbuzz Ohio.” The venue felt surprisingly intimate, complete with great acoustics and an excellent view. It was, in short, an absolutely banner night, made all the more unforgettable by the encore closer, an acoustic take on the amazing “Vanderlyle Crybaby Geeks.” Talk about a lifetime night! The right gear to take on a rugged, chilly day in Toronto — led by beard balm from Duke Cannon, a rugged Frank & Oak twill shirt and an essential Original Penguin cardigan. Sunday gave me time to indulge a few more of my passions before hitting the road home. I layered up in suitably rugged winter style for an extremely chilly December day, starting with a Frank and Oak flecked overshirt and a cozy Original Penguin Shawl Collar Cardigan. On the footwear front, I had to reach for durable leather boots once again given the chilly weather. My Thursday Boots Grizzly Wheat President Boots proved a stylish, versatile pair for getting around Toronto, and they matched up quite nicely with my Original Penguin Stretch Five-Pocket Pants. The combo was more than ready for a delicious coffee at the quaint Red Rocket Coffee near my AirBNB — my classic Timex watch again proved helpful when it came time to head to stop number two … brunch. The hearty, rich spread at Rose and Sons called to mind a classic diner done right. If you go, get the All-Day Breakfast, featuring three eggs, schmaltz hash and sausage — it was amazing (and filling!). My day wasn’t done yet — I managed to pack in yet another craft beer-centric stop! Never one to pass up a great pour, I made it a point to hop over to the acclaimed Blood Brothers Brewing, a Toronto staple that brings a workman-like approach to craft beer. In short, I was right at home enjoying a rich and rustic IPA or two. It was time to head back to NYC all too soon, though — the flight back proved so quick, I had the urge to turn right around and head back! Toronto was a lovely city, complete with eclectic, diverse food, cool and unexpected menswear and of course, plenty of standout music by The National. It was neat to experience the city as so many think of it — during a chilly winter. And the backdrop was made all the more enjoyable by the chance to pack my favorite travel style essentials while seeing my favorite band! It’s not the last time I’ll be seeing The National on this tour, either … but more on that later! For now, stay tuned for tomorrow’s new #OOTD post and enjoy your holiday travels! September 30, 2017 September 21, 2017 by Beau H.
From a helpful guide book to a nifty iPhone camera lens, this is the gear you need to travel with this fall. Image courtesy of Bespoke Post. We’re taking a slight departure from our usual #menswear focus on today’s Style Pick of the Week — just a slight (if literal) departure. Because, let’s be real — who among us doesn’t love the thrill of adventure and the excitement of exploring somewhere new? For travel lovers and explorers alike the Bespoke Post Wander Box is a prime choice as this week’s Style Pick– like other favorites on the blog, it’s an all-in-one offering in terms of versatility and dependability. And if you’re looking for a bit of fall travel style, I’d urge you to pick up the Wander Box. Without a doubt, the Wander Box from Bespoke Post has everything you need to explore a new locale — with a few handy extras thrown in. The utility of the Wander Box — available for just $45 when you sign up for Bespoke Post –– starts with the essential Wildsam Field Guide. These mini-encyclopedias fit easily in a bag or a coat packet and are jam-packed with all kinds of helpful info on a wide range of cities. The guides cover everywhere from San Francisco to Brooklyn to Nashville and Austin –it’s your call. And when I say jam-packed, I mean jam-packed. From insights on gourmet eats and craft beverages to a full set of personal essays and reflections on specific cities, each Field Guide is entirely customized by city — and again, they’re packed full of essential info. Heck, I used my Wildsam Field Guide on a fall trip to Nashville and absolutely loved the cool spots it turned up, from coffee to menswear. So, that’s one major benefit of the Bespoke Post Wander Box — and the rest of the goods? They’re just as stellar. Using my Wildsam Field Guide to get around Nashville in style — this could be you! Or not. But it could be! It’s the little details in every Bespoke Post box that make the difference, and the Wander Box gets those right, too. Namely, you get your pick of ebony or bamboo headphones from LSTN Sound Co. — crystal-clear sound quality and understated style, to boot. What’s more, these headphones feature no-rub functionality (no twisted cords here), and they also come with an in-line microphone to take calls. Not bad, ehh? And the Wander Box doesn’t stop there — no sir. It’s complete with a Universal Smartphone Fisheye Lens, a wide-angle smartphone camera attachment that should up your photo quality significantly. That’s a heck of a deal for just $45 — can’t believe it? Neither could I when saw the price tag. So, to recap the Wander Box — you get a brand-new camera attachment to capture the perfect Instagram shot, plus an amazing field guide to help you explore cool cities like Nashville … plus an excellent set of stylish headphones. That’s all too good to be true, yes? Well, Bespoke Post makes it a reality. Just pick your city, pick up the Wander Box and get planning. Will you be picking up the Wander Box from Bespoke Post before you hit the road this season? Let me know on Twitter!